Angi Murray | The best horse trainer you've (probably) never heard of. Come all ye naughty horses! 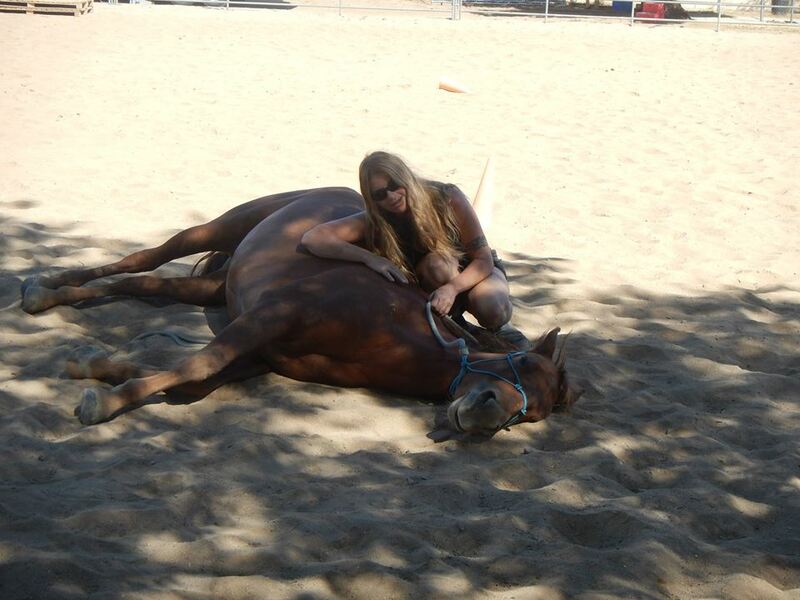 Angi specializes in training difficult, dangerous, and hard-to-handle horses. Some of her training horses have come from other trainers who have been injured in the training process, or were simply unable to make positive changes in the horses behavior. With over a decade of her training experience spent gentling and training wild horses, Angi can show you how to fix your horses problems with bucking, rearing, kicking, striking, or biting. Not just a horse trainer. In addition to being a great horse trainer, Angi is also a great trainer of people (although they are slightly more challenging to work with). Whether you are just discovering the joy of horses for the first time… or want to improve your groundwork skills… or have been riding for years and want to improve your skills, Angi can help.